As far as first impressions go, the magnificent Sursock Museum certainly stands out in Beirut. With its neo-Ottoman architecture, stained-glass windows and fairytale banisters, it was built in 1912 as a personal residence for aristocrat Nicolas Sursock, and later donated to the city, opening as a museum in 1961. Even in its posh, central-Achrafieh location amid lush gardens, trendy residential towers and refined period homes, it’s impossible not to notice. With time, however, the art museum’s programs became increasingly outdated and it was shut down for an 8-year, $10-12 million upgrade. Reopened in 2015, as beautiful as ever, it is now under the fresh leadership of forward-thinking individuals who are working hard to transform the iconic museum into a public space for art and beyond. 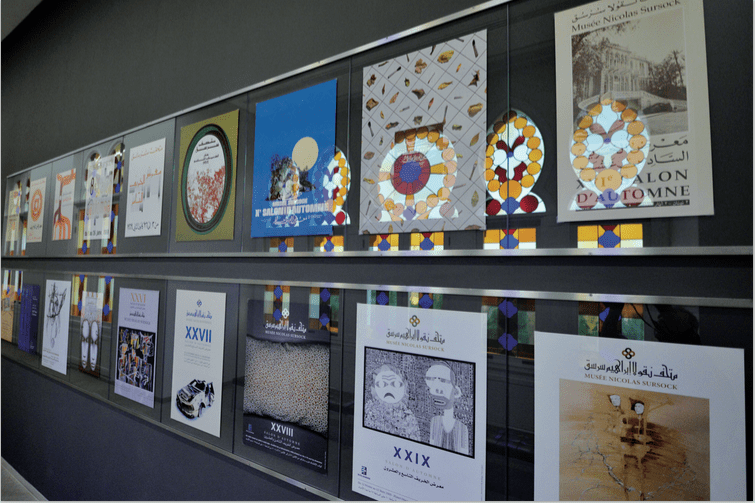 Under the leadership of director Zeina Arida, co-founder and former director of the Arab Image Foundation, Sursock’s small, studious team has been busy organizing a multitude of exhibitions and activities in its various spaces, casting its net wide to attract all audiences. Since its reopening it has had 65,000 visitors, of them 4,000 attending the opening night and 7,000 coming for Nuit de Musée in April 2016. Arida credits this substantial number to the combination of the museum’s diverse cultural program, multiple temporary exhibitions, as well as its rich permanent collection. In just over a year the museum has had an average of one new exhibition opening every two months, and about three weekly events, including performances, workshops, talks, family programs, tours, walks, films, symposia and special events. “This variety of both programs and exhibitions helps to attract a diverse audience and induces repeat visits,” says Arida. The latest of the museum’s major exhibitions in its new underground hall picks up an annual tradition that had marked the identity of the museum since its opening. Launched in November 2016, the 32nd Salon d’Automne is an open call for emerging and established artists living and working in the country, creating a conversation between artists, art critics and the public on the state of art in Lebanon. In the past the Salon d’Automne showed the shifting trends in the local art scene, and the revamped revival hopes to have the same significance. This year’s jury, consisting of art-world elites Reem Fadda, Walid Sadek, Rasha Salti, Hind Al Soufi and Kaelen Wilson-Goldie, narrowed down the original 300 applications to 52 artists, spanning various media including painting, sculpture, photography, installation, video and more. 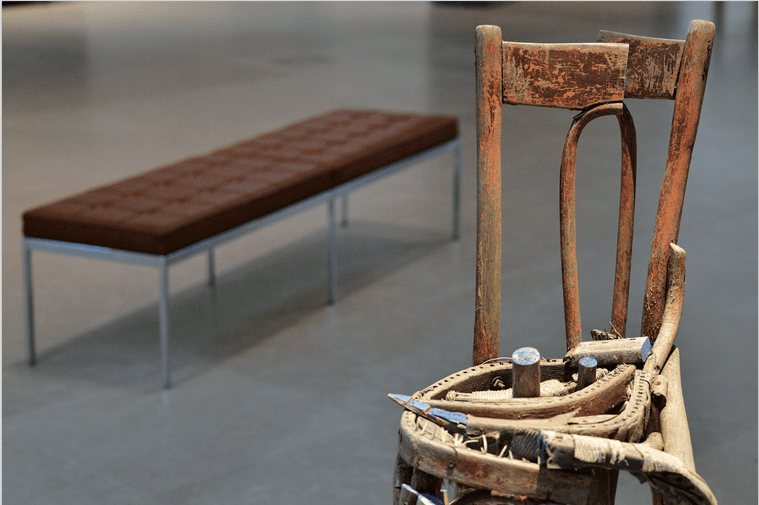 The event is an opportunity for the the museum to connect with artists living and working in Lebanon, and for early career artists to show their work in a major exhibition in the museum. Prizes for artists are also given to the most innovative work, an emerging artist and, for the first time, an audience choice award that visitors can vote for on the premises. Before the Salon d’Automne, three other exhibitions were hosted in the giant space. A retrospective on art in Lebanon called “Regards sur Beyrouth: 160 ans d’images” was the inaugural exhibition. Following that, a renowned Lebanese artist and Salon d’Automne alumnus presented his first work in his home country for the first time in 15 years: “Assadour: Landscape in Motion”. With summer temperatures and an increased global conversation on the environment, as well as Lebanon’s own garbage crisis, the pertinent “Let’s Talk about the Weather: Art and Ecology in a Time of Crisis” exhibition shed light on local and international issues using installations, photography and other artforms. Meanwhile, in the Twin Galleries spaces at the entrance of the building, smaller and shorter but equally thought-provoking expositions have been held, and four other exhibits were organized as part of the Fouad Debbas Collection – the world’s largest private collection of postcards and old photographs of Lebanon and the Middle East.